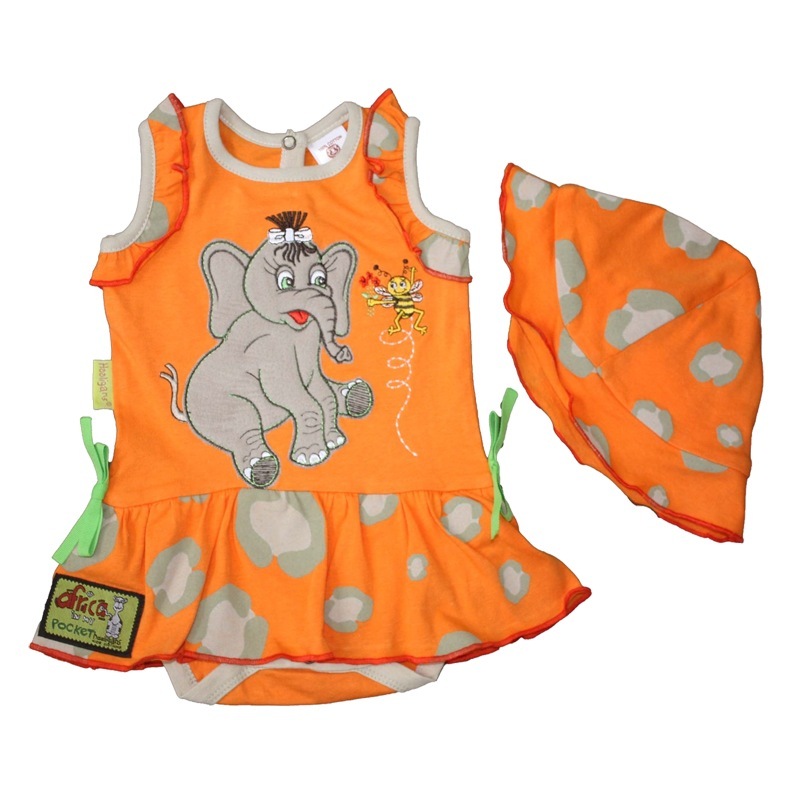 Your little one is sure to stand out in this striking little Summer crawler with matching hat. 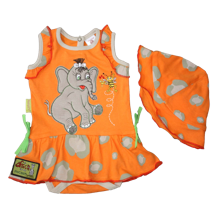 A bright, fresh orange fabric with contrasting elephant applique & beige ribbing to the neck line, arms & legs. Printed "leopard" spots on the skirt panel, the ruffles around the arms & on the matching hat. Under the skirt panel, across the bottom (not seen in this image) are 2 rows of cute little frills.